Integrating new capabilities, as these become available in products from different vendors, or from outside the core system, can be expensive or even impossible. Opportunities for digital transformation, workflow streamlining and other benefits cannot be easily implemented. The inflexibility of entrenched, legacy systems leaves incumbent institutions vulnerable to more nimble startups whose entire operations are based on adapting to customer needs very quickly, and extracting every ounce of efficiency that technology can deliver. For example, deploying rating model changes to business lending operations in large financial institutions can take months. RFM provides a modeling platform that integrates enterprise data, desktop statistical tools (like SAS and R) that are frequently used by quantitative analysts. RFM also includes a powerful machine learning engine. Model Injection™ automatically serves the functionality and metadata defined by models and data sources to enterprise systems, making both functional and presentation changes available instantly. Model Injection not only deploys functionality changes, but user interface ones as well. Forms automatically re-configure, with no programming required. Model Injection™ starts with a Services Oriented Architecture (SOA). 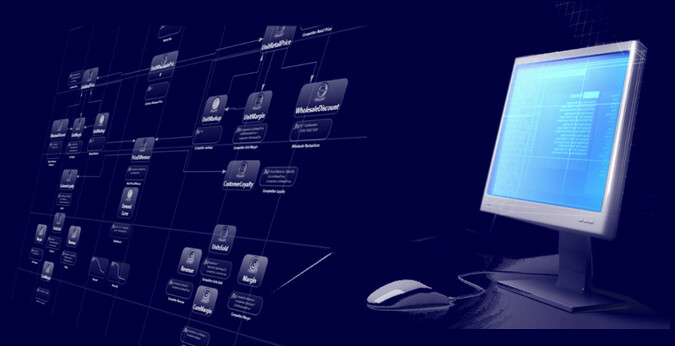 SOA greatly simplifies enterprise information architectures by unambiguously defining “authoritative services” that are solely responsible for providing a nominated set of capabilities throughout the enterprise. At the foundation of Model Injection™ is the RFM Services Core, which becomes the authoritative source of models throughout the enterprise. The RFM Services Core offers a rich and stable set of data objects and methods for defining models, populating them with data from almost any source, accessing their metadata, and executing the functions they define. A comprehensive and granular security layer with integrated session management and transaction control protects all Model Injection™ services. It includes configurable access control and logging down to the individual transaction. 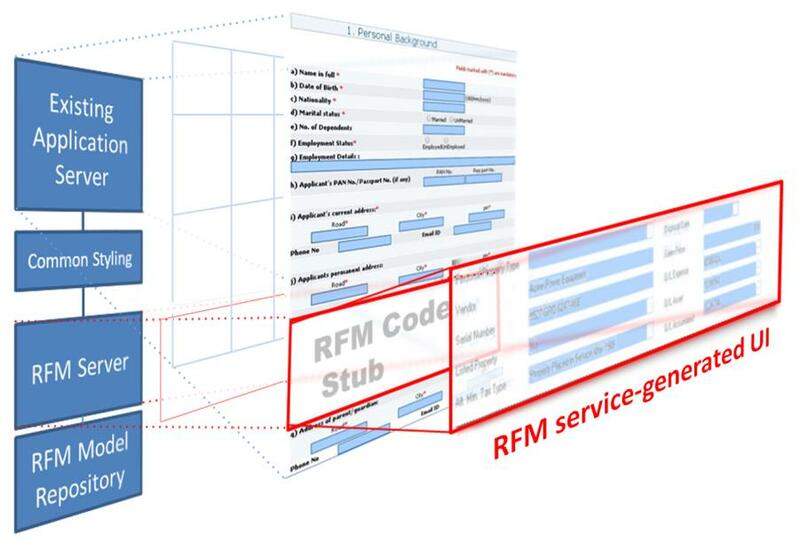 The RFM Services Core exposes both traditional SOAP 1.1, and also REST interfaces. Without Model Injection™, changes to SOA services still often trigger significant amounts of downstream user interface re-work. Model Injection™ eliminates it. Implementation hiding ensures that any internal changes made to services never have any effects on the operation of client applications. However, clients are affected when updates are made that require user interfaces to be re-programmed. Model Injection™ eliminates this by extending SOA to include user interface abstraction. To take advantage of this, applications need only “plug in” an automation client (called the RFM Code Stub). This plays a role analogous to a platform-specific SOAP client: it invokes the RFM Model Injection server to generate specific areas of the UI in real time, along with the associated logic. The RFM Code Stub translates between the Model Injection API and the application’s presentation environment (e.g. a web page or mobile app). This is illustrated in the diagram above. Standard SOA architecture without user interface extensions. SOA architecture with abstract UI metadata from Model Injection server. Clients are responsible for rendering this in their implementation language. SOA with client-language UI generated by Model Injection server and configuration templates. No work required on client to manage UI.